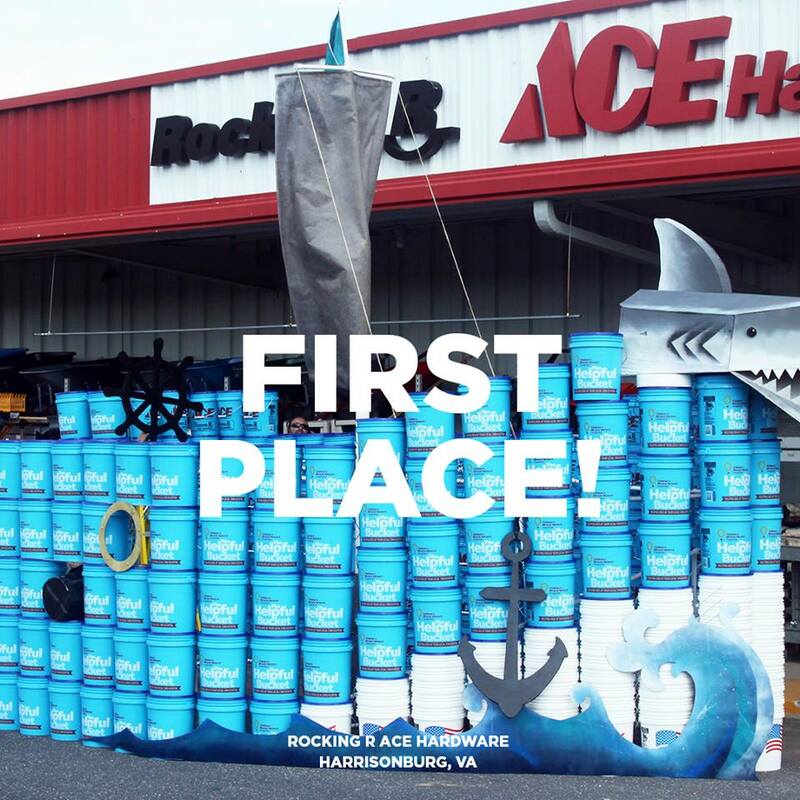 Ace Hardware Bucket Days Kick Off This Weekend – Ace Hardware Corp. 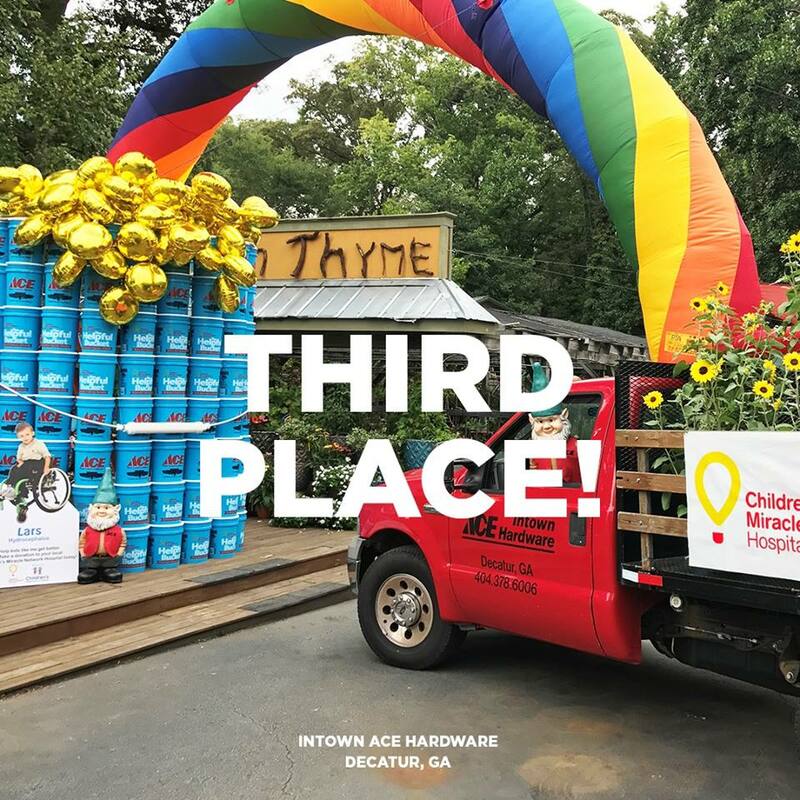 Starting this Friday, August 3rd, Ace Hardware is kicking off their annual Miracle Bucket Days in support of local children’s hospitals. For the first time ever, customers have three days (Friday, Aug 3 – Sunday, Aug 5) to purchase a 5-gallon Miracle Bucket for a $5 donation in support of local kids. 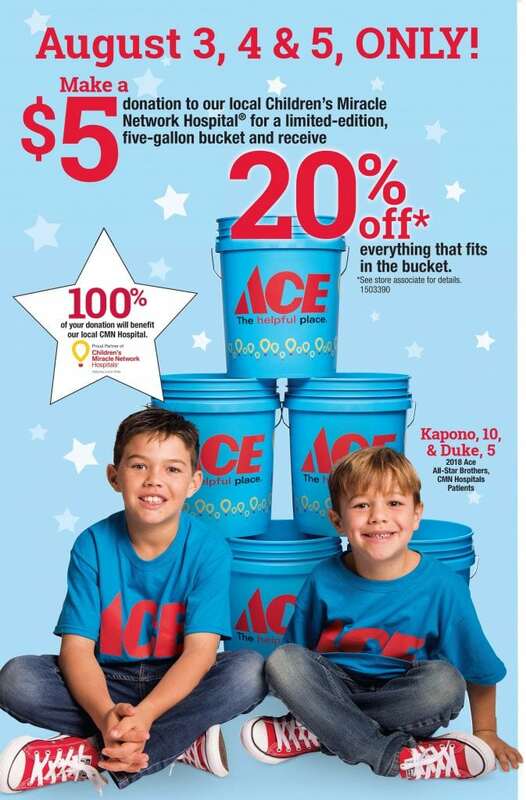 In return for their donation, Ace customers will get 20% almost anything they can fit in their bucket. During the weekend, participating retailers will take participate in a Creative Bucket Display Contest. 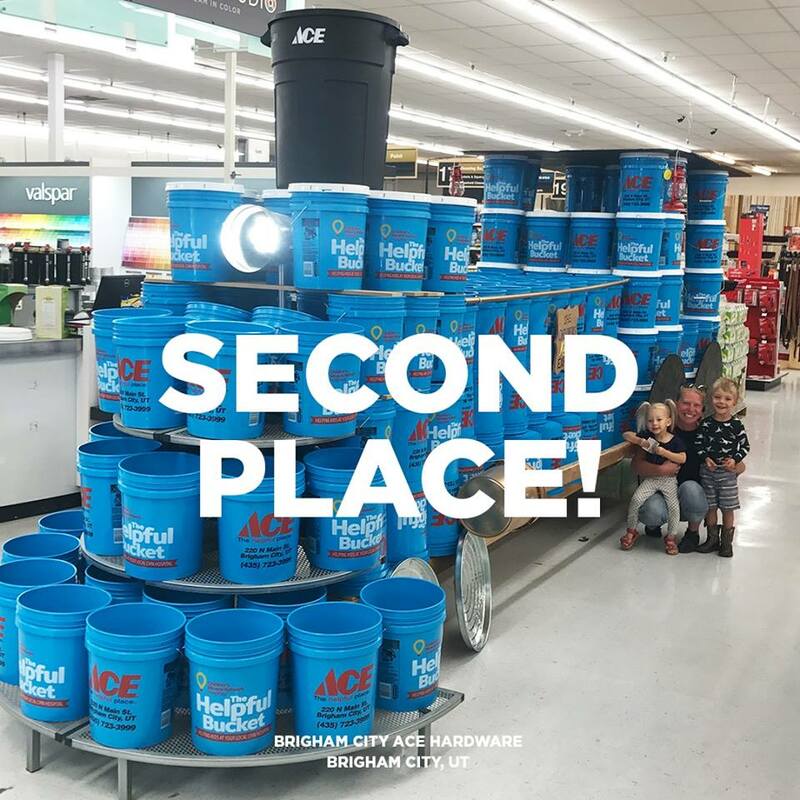 After the campaign, the most creative and innovative bucket displays will be made available by Ace Hardware on Facebook to be voted on by the public. Three retailers will be recognized for their displays and will win a donation for their local CMN Hospital: first place ($7,500 donation), second place ($5,000 donation) and third place ($2,500 donation). Click here to find your local Ace Hardware.